Bearing Your Cross: Some Thoughts As We Journey To Easter — Jeremy Height: Living Glocally. This week we are completing the Lenten journey to the cross and - finally - to the empty tomb. 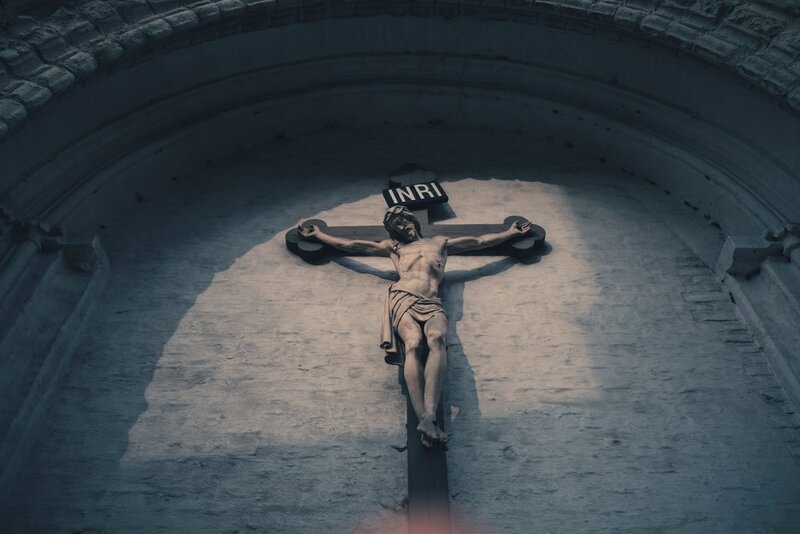 Lent is the 40 days running up to Easter where we remember Jesus' final days before His death on a cross and His subsequent resurrection from the dead. And this week brings us to the completion of that journey. On Sunday we will celebrate the offer of new life that we have received from Jesus through His victory over death. Easter Sunday is our annual remembrance of Jesus' resurrection from the dead when He left the tomb empty and left sin, death, and darkness defeated. Before we can get to Easter Sunday, however, we must journey through this Holy Week as we remember the final days and final steps of Jesus before His death. And I think that we should journey slowly through this week. The richness, depth, and meaning of Easter is derived from the darkness, pain, and strife encountered on the road to Easter. The beauty of Easter is best understood when contrasted with the ugliness of the final days Jesus experienced before His crucifixion on a cross. Easter shines bright and beautiful because Jesus journeyed through death and pain - for us. During this week, we slow down and remember what Jesus did for us - and what He is still doing for us. Jesus bore the pain, ugliness, and sin of the world so that we each may find healing, beauty, and holiness. "He has become what we are, so that we might become what He is." And now Jesus calls upon us, His followers, to follow Him along that same road as well. He calls us to take the new life He has gifted us with and share it with the world around us. To take our salvation and "pay it forward" by living out our salvation in our lives. Jesus calls us to pick up our crosses and follow Him. And this means a whole lot more than wearing cross-shaped jewelry, decorating our cars with "Jesus is my co-pilot" bumperstickers (which is terrible theology anyway...), or sharing a photo of Jesus on Facebook. When we pick up our crosses to follow Jesus, we buckle under the weight of this instrument of capital punishment. Our shoulders bleed because of splinters from the coarse wood as we drag this symbol of death and humiliation uphill alongside Jesus. It means embracing sweat, pain, tears, wounds, ugliness, and evil. We pick up our cross and say yes to death. And it is there, in the darkness and pain, that healing and life are found. Bearing our crosses is what Jesus calls us to do. Why? As the Wright quote at the start of this post shares: "The call of God is not to become the heroine or hero in God's new Superman story. It is to share and bear the pain of the world, that the world may be healed." Jesus bore His cross and faced the worst of humanity in order to bring new life, a full and beautiful life, to all of Creation. He did it to heal you. And now He calls you to pick up your cross and face the pain of the world as well - for the healing of others and of Creation. And yes it is kind of crazy to think that Jesus has called us to join Him in this healing process. That He trusts us to bear our crosses and share in the pain of the world. That we can help share His love with others. The hope of Easter is the redemption and healing of all of Creation through Jesus. This victory has already been won and continues to be realized in individual lives and the world as a whole. The end of the story has already been decided through Jesus' victory over death and darkness. But, this week, we remember that just as we journey to Easter - we are still journeying to that final day when the end of the story will come to be. Let me put it this way: the journey gives meaning to the destination. There is no Easter without the cross. No resurrection without the crucifixion. No healing without the embracing pain. So this week, as we journey to Easter, let us remember to pick up and bear our crosses. Not just this week, but every day of our lives. As we follow Jesus, we are called to bear the weight of the pain and ugliness of the world in order to help bring about healing and beauty. We must face the darkness head on and charge at it with the power of the light. In our everyday lives, we need to find others we can journey with. Friends who we can share each other's burdens with. Who we can journey through pain and darkness and injustices with. And that's how deep friendships are formed right? They are forged in the fires of the trials and pains of life. Jesus sought out the marginalized, the widows, the orphans, the foreigners, and the sick. He reached out to those that no one else would befriend. Those who had no one else to help them bear their crosses. As we seek to bring about healing, beauty, and justice in the world around us, we must begin by befriending those whom the world has marginalized and helping share the weight of their pain and injustices. That's hard work. And maybe that's one of the most important lessons for us as we journey towards Easter this week. Or, as my French-speaking landlord would put it, "Nous sommes ensemble." We must help each other bear the weight of life. And just as we can experience the new life and healing brought to us by Jesus; the Holy Spirit can empower us to help be a part of that healing in the world today. You are not the hero. Nor am I. But Jesus calls us to join in His healing work in our world. So, this week, let's remember to pick up our crosses. Journey with Him. And help take the eternal life He provides to a world in desperate need for it.